Hidition NT-6: The NT-6 and pro are torn from the same cloth as they share many characteristics and with some songs you will be hard pressed to hear a large difference. Those songs are the ones with low levels of bass and treble that doesn’t extend too far, not to mention not the largest soundstage. But, there are differences. The NT-6 is the reference with a pretty neutral bass and treble combined with a balance in the midrange making for a presentation that doesn’t push any one portion of the spectrum forward. The pro, on the other hand, enhances the bass and treble region and also has a more 3D space. The good (due to the treble) is that much of the treble is brought forward, improving upon the super clear NT-6; but the negative is the tone can sound a bit off in comparison as you know the treble is being enhanced. I gave the NT-6 the highest marks for clarity, but the pro steals that honor from the NT-6. In the bass region, the bass enhancement is slightly noticeable with light and background bass tracks, but when a heavy bass line kicks in, the pro kicks it up several notches. Since the pro is enhanced, the bass isn’t quite as clean as that of the neutral NT-6, which is due to the additional rumble. The midrange of the pro is a slight bit further back, but then there is more depth of the soundstage space, allowing the NT-6 to present vocals a bit closer and more personal, while the imaging of the pro is improved over the NT-6. As one would expect, technically these two are quite close with the pro having a bit better transparency due to the more 3D soundstage, but the midrange and treble of the NT-6 sounding slightly more natural. Detail and resolution is ever so slightly higher on the pro and due to the boost in the treble, the coherence isn’t quite what it is with the NT-6. Dynamics, speed, and note attack/decay are the same. Both the NT-6 and the pro version offer an extremely high technical performance with an analytical yet musical performance in different flavors. The NT-6 is excellent as a reference monitor, something you want when you want to hear all the details with great clarity but don’t want enhancements in the bass region. The pro turns the reference into a more exciting and even clearer sound with a bass and treble boost and a bit more depth to the soundstage with a slightly less forward midrange. Hidition gives excellent choices depending on your tastes. Jerry Harvey Audio JH16: In comparison with the NT-6 pro, the JH16 has a focus on the lower portion of the spectrum with more warmth and bass enhancement. One of the things that jumps out at me in this comparison is the clarity of the NT-6 pro, which makes the JH16 seem like there is a haze over the presentation. Size of the presentation space is about the same as far as width, but the improved depth of the presentation makes the NT-6 pro sound larger/more 3D and less closed in. With a faster note a bit more capable of sustaining decay, the NT-6 pro has more transparency and coherence with better speed, resolution, and detail than the JH16. Dynamic range is similar between the two, but the NT-6 pro does have an edge and both are about equally forgiving. 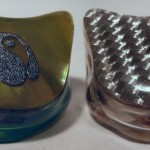 Both have bass enhancement, but it is implemented in a very different way. The JH16 has an always on bass boost with a warmer presentation than the NT-6 pro, but the NT-6 pro has more boost in the lower registers, but it isn’t something that is always on. For example, with tracks that have light bass lines, the NT-6 pro doesn’t sound enhanced at all, but with bass heavy pop and electronic, it surpasses the JH16 in boost in the deeper registers, which is from a higher dynamic range in the bass as well as the contrast of boosted bass with less mid-bass. While the NT-6 pro can generate a good amount of bass, the quality is also top notch with better articulation than the JH16. 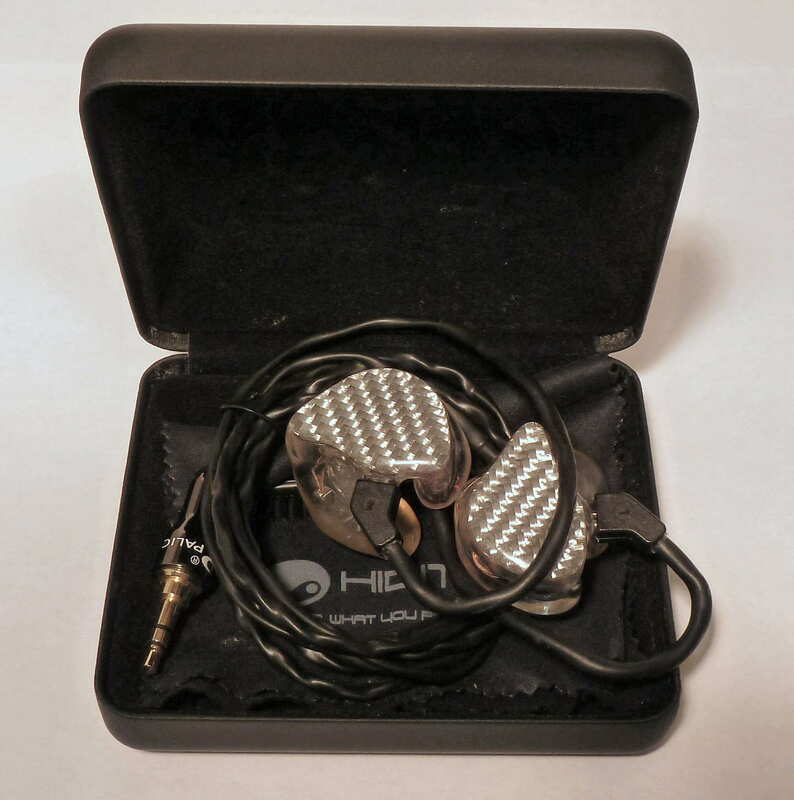 The JH16 is a fun CIEM with enhanced bass, a fairly neutral midrange presentation, and a boost in the upper region that improves clarity while the NT-6 pro is similar but different. From a technical performance standpoint, the NT-6 pro bests the JH16 due to a wider note attack and decay range that allows for better focus, clarity, and a more natural sounding note across the spectrum, but the NT-6 pro does have a V shaped sound signature (boosted bass and treble). If you like a bright presentation without a lot of warmth, the NT-6 pro is for you. But if you want the bass in every track from Barry Manilow to Massive Attack and don’t want a laid back midrange, the JH16 is for you. Heir Audio 8.A: While the NT-6 pro has enhanced bass, the 8.A has more warmth, richness, and power in comparison with the brighter, clearer, and more analytical NT-6 pro. Both have a 3D space, but the 8.A has a more forward presentation in comparison to the more open sounding NT-6 pro, which has a slightly larger overall soundstage presentation. While clarity levels of the 8.A are impressive for the note thickness, the NT-6 pro’s clarity due to the more analytical note, less mid-bass, and brighter treble are easily noticeable, bringing out more detail across the spectrum, but especially in the treble region. The note attack/decay differences lead to the NT-6 pro sounding faster and, of course, more analytical, and while the NT-6 pro is smooth with some liquidity, the 8.A is quite a bit smoother, lush, and liquid. Coherence is similar and bass dynamics of the 8.A are superior, but dynamics of the rest of the spectrum are better with the NT-6 pro. Transparency is close, but the NT-6 pro does edge out the 8.A due to the overall clarity, imaging, detail, and larger space. The 8.A is more forgiving of poor quality tracks as the NT-6 pro will resolve all the issues, especially in the bass region in comparison. The 8.A conveys power and emotion with good bass authority and an always enhanced sound compared with the NT-6 pro, which has a boost that is dependent on the track. Comparing the two is track dependent as the 8.A can sound punchier and significantly more bass heavy, but other times the NT-6 pro can actually sound a bit more bass heavy. However, in the mid-bass region, there is no real contest as the 8.A has quite a bit more warmth which thickens the overall sound and provides more emphasis to upper bass notes, adding a richness in comparison. The forward midrange of the 8.A is thicker and gains clarity from layering of the soundstage; however, the NT-6 pro also has very good layering resulting in a much cleaner and clearer midrange. The upper midrange of the two isn’t too far off, but as the frequency increases, the two diverge. The NT-6 pro is bright with emphasis that brings the treble up front while the 8.A has a laid back treble that pushes it further back resulting in a different feel to the music. With quite different presentations, the NT-6 pro and 8.A will complement each other well. The 8.A gives an enjoyable, smooth, powerful, and rich presentation that can be enjoyed both causally and intently while the NT-6 pro provides a brighter, more analytical, clear, and detailed presentation that feeds you the details in a musical way. While the treble of the 8.A is never offensive, it won’t please treble heads, but the boost in the NT-6 pro treble will turn off some with its somewhat artificial enhancement. SE 5-way Reference: While these two don’t sound the same, there are many similarities in the overall presentation. With most tracks, the NT-6 pro sounds noticeably brighter, although the 5-way can adjust depending on the track. Clarity is close, but they have similar but different clarity. The 5-way clarity is organic and takes very little from being bright while the NT-6 pro has an organic clarity with a laser focus within the soundstage as well as accentuating the details and clarity to an extent due to brightness. This can lead to the 5-way sounding dull in comparison with the NT-6 pro, or the NT-6 pro sounding quite bright depending on the track. The NT-6 pro presentation is very 3D and spacious, slightly more so than the 5-way. Resolution is similar as is instrument detail, instrument separation, black space, and other characteristics; both are impressive. Both change with each individual track, but the 5-way does have more variation than the NT-6 pro. The 5-way beats the NT-6 pro with a more natural tone and still the best attack-decay-sustain-release (ADSR) and PRaT, but the NT-6 pro isn’t far behind. The NT-6 pro has a greater sense of speed than the 5-way. Both are quite transparent, coherent, and have impressive dynamic range. One of the impressive things about the 5-way is the ability to handle all bitrates and music types and not sound offensive, at least not more than the original track. The NT-6 pro can be offensive in the treble region due to the emphasis with poorly mastered tracks, but chances are you won’t be listening to the poor quality tracks I have in my test file folder. While the NT-6 pro is bass enhanced, the 5-way has more headroom in the bass as more power can be conveyed with a bit more sustainment at the expense of sounding a slight bit slow in comparison with the NT-6 pro. It is really close from a performance standpoint, and the NT-6 pro has more bass with tracks that aren’t all that bass heavy. The 5-way is a bit warmer, but it does change quite a bit with various tracks, so the amount is variable. The midranges aren’t too different until you get to the mid-upper midrange and above where the NT-6 pro has more energy. This difference in energy changes the location of the midrange depending on the track, resulting in flip-flopping in which is more forward, but in general the 5-way is more forward. Moving up to the treble, the NT-6 pro is more enhanced and while both have great quality, the 5-way edges the NT-6 pro as is readily apparent with poorly mastered tracks. The NT-6 pro is similar to the SE 5-way in capability, but quite different in presentation with bass and treble emphasis, slightly thinner/quicker note, and more apparent clarity. While the 5-way has a neutrality to it, the NT-6 pro has a coloration to it that can be fun. Both have a wow factor for me, but with fast and energetic genres like electronic, the NT-6 pro is more fun. 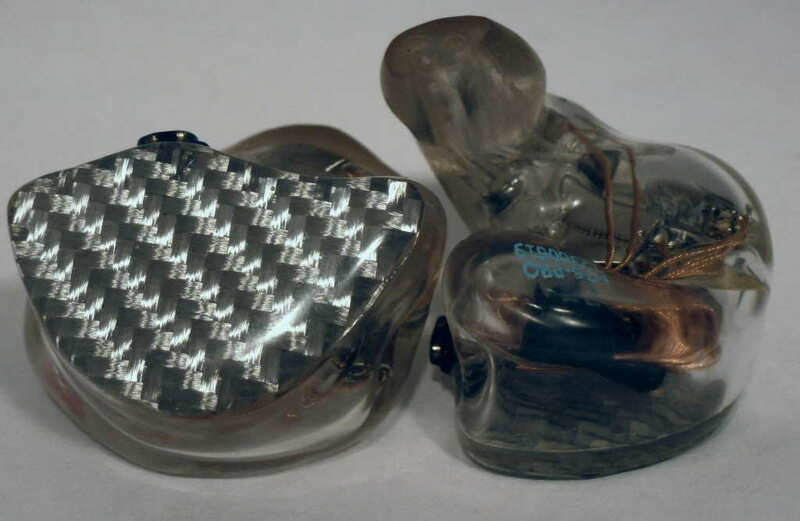 If you want a CIEM that performs at the highest levels, you have options! Rooth LS8: The LS8 has a warmer, slightly more forward sound compared with the NT-6 pro which has more emphasis on the upper end. The presentations aren’t drastically different, but the LS8 is a bit more mid-forward while the NT-6 pro has a wider and deeper space that is more laid back, resulting in better imaging. While the LS8 is clear, the NT-6 pro has better clarity and the soundstage is more sharply focused. The NT-6 edges the LS8 in most technical aspects from transparency to dynamics to coherence to detail and resolution levels to speed and note attack/decay ability. Deep bass is quite a bit more prominent with the NT-6 pro, and the capability and depth are superior. Moving up from the deep bass and the LS8 takes over with a bit more quantity that continues up the spectrum into the more mid-forward midrange, giving the LS8 a richer lower end. Moving to the upper midrange and on up the NT-6 pro is brighter yet the quality of the treble is similar, as is extension. The NT-6 pro diverges in the treble region as the emphasis grows as the frequency increases which can lead to a bit too much treble in some tracks. 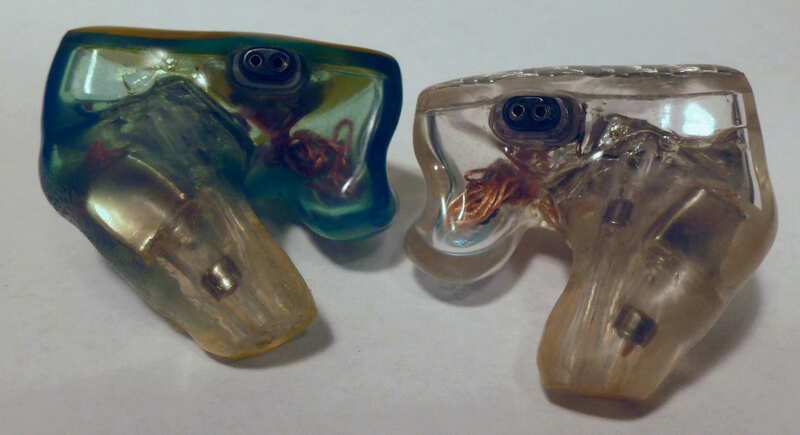 Similar, but different, they are definitely different flavors of audiophile enjoyment. The NT-6 pro is brighter and has more deep bass with a more expansive space while the LS8 is more mid-forward and warmer in presentation. The NT-6 pro is a better choice for critical listening as it will resolve more than the LS8 with a better focus, but for just relaxing and listening to music the LS8 is an excellent choice. Logitech Ultimate Ears IERM: These two definitely share some similarities, but the IERM is warmer yet duller with a more distant and less intimate sound. While the IERM has a nice soundstage size that is very 3D, the NT-6 pro is a bit larger with a better focus and imaging, giving a clearer presentation overall. The NT-6 pro sounds faster than the IERM and effortlessly recreates any speed note. Detail levels with the IERM are good, but the NT-6 pro has more micro-detail, and that detail is presented with better clarity. The NT-6 pro is more transparent and coherent and has better note attack and decay capability as well as more dynamic range. The IERM has a tendency to point out issues with tracks that the NT-6 pro still highlights, but not in quite the same overly dramatic, sometimes harsh way. The bass is quite divergent as the NT-6 pro has enhanced bass that goes deeper than the IERM and has greater dynamic range and note sustainment when necessary, resulting in deep bass that is more prominent and also conveys more of a live feel. But, the IERM is overall a bit warmer than the NT-6 pro, although the NT-6 pro sounds much cleaner. Bass detail and texturing are better on the NT-6 pro. The midrange of the NT-6 pro is presented in a more up-front way but has more depth to the presentation with better layering. Clarity levels, instrument separation, and black space are better with the NT-6 pro. The upper midranges start to approximate each other, but moving up to the treble, the IERM has a peak where the magic and pain happen – the magic giving the IERM its excellent detail levels and the pain being a harshness that is often offensive to my ears. The NT-6 pro in contrast has more energy at higher frequencies and the overall presentation is smoother. With different purposes, the NT-6 pro is a faster, more precise and enhanced IERM. I don’t recommend the NT-6 pro for what the IERM was created to do, monitor music in a studio, which it does very well. The NT-6 pro will add excitement and ultimate precision to your music with a similarly bright presentation, but with enhanced bass. 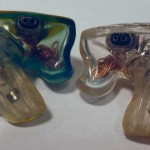 EarSonics EM4: While the EM4 may be brighter than the standard EarSonics sound signature, the overall sound is quite different than the NT-6 pro from top to bottom. The first thing that jumped out at me when A/Bing these two is the EM4 makes the NT-6 pro sound very bright, on the thin side, and analytical. From a presentation standpoint, the NT-6 pro is a good deal wider and more spacious with close but better presentation depth giving the NT-6 pro the decided advantage for spacious and 3D tracks. The perception of depth and width does change quite a bit with tracks as the EM4 has a deeper presentation on average even though the NT-6 pro can project further. This leads to a larger sound and different airiness with tracks that have narrow soundstages. Dynamics are better with the NT-6 pro, which is faster and more immediate, and the NT-6 pro is more transparent and coherent. Detail levels, clarity, and resolution are better with the NT-6 pro, and due to a smoother, less peaky treble and more natural treble decay, the NT-6 pro is more forgiving of poor tracks. Bass is quite different on most tracks as the EM4 has more enhancement, warmth, and overall conveyance of power with the exception of when there is deep bass, where the two are close but the NT-6 pro has more headroom and better control and about the same rumble. These two are close in placement of the midrange, but depending on the track they flip-flop in which is more forward, due to the reasons noted above. Treble of the NT-6 pro is more forward and alive with a more realistic sound that has better note decay. If you read the above paragraphs, you probably came away thinking the NT-6 pro is better, but it is more a matter of taste and tracks. The NT-6 pro is bright and in comparison, thin. Sure, it is surprisingly smooth, but still analytical vs. the EM4, but the NT-6 pro treble really shines even with the brightness. Overall the EM4 has a more powerful and organic sound, except in the treble region, while the spacious and bright NT-6 pro is more detailed and analytical. M-Fidelity SA-43 (bass switch on, presence switch off): While sharing some strengths, these two are mostly different. Starting with the overall presentation, they are about the same as far as where the midrange is presented, but the NT-6 pro is slightly more forward. While the NT-6 pro is a great performer in the soundstage depth, the SA-43 outperforms the NT-6 pro both in width, by a bit, and in depth, by a larger margin; however, the NT-6 pro has a bit better imaging and focus within the soundstage. The NT-6 pro is clearer overall with better instrument separation, better dynamics and more speed when needed, but due to superior note decay, the NT-6 pro can also sustain notes quite well. The SA-43 is smoother and more forgiving of poorly mastered tracks, while the NT-6 pro has much better instrument detail and a bit more refinement within the soundstage. With the SA-43 bass switch on, the SA-43 has more bass and warmth than the NT-6 pro except in the deep bass region where the NT-6 pro doesn’t have the roll off and shows much more capability, adding a prominent feel to the bass that the SA-43 just manages to touch on. The NT-6 pro bass is more controlled and detailed than that of the SA-43. With a more laid back and organic midrange, the SA-43 is more relaxed in presentation, and when the presence switch is turned on, the midrange becomes thicker and more “cloudy” in comparison with the ultra-clear NT-6 pro. Vocals are more up-front, clearer, and detailed, but due to the more prominent upper midrange, the tonality is slightly higher pitched than sounds natural, giving the nudge to the Sa-43 in that regard. Both have high quality treble, but the NT-6 pro is much brighter and can lead to too much comparatively, from a realistic tone standpoint. The SA-43 has a different decay of the treble that sounds more natural, but dull in comparison. These are two very different sounding CIEMs that both have a strength in the spaciousness of the presentation, but the SA-43 sounds more organic vs. the analytical nature of the NT-6 pro. Given the right source material, both excel in imaging, soundstage size, instrument placement and separation, but with different surrounding qualities, the NT-6 pro fits faster music such as electronic and metal while the SA-43 is best with acoustic. In addition, the SA-43 is organic and dull in comparison with the exciting and very bright NT-6 pro, and the decision between the two should be quite clear cut. T1 Live! : With differences galore, the organic T1 Live! has a more realistic tone and presentation to it in contrast with the bright, bass enhanced, and clearer and more detailed NT-6 pro. Both have 3D presentations, but the NT-6 pro out-3Ds the T1 Live! with a more spacious presentation overall. The presentation is different as the NT-6 pro has a larger overall size, especially in the width department, leading to different soundstage proportions. Dynamics and speed are better with the NT-6 pro giving it a more lively sound than the more organic and natural sounding T1 Live! Detail levels are higher with the NT-6 pro while transparency and coherence are close between the two. The T1 Live is more forgiving of poor tracks. The enhanced bass of the NT-6 pro can make the T1 Live! sound like it is lacking bass power, as it doesn’t have the rumble or punch even though it isn’t bass light. With more warmth and a slightly thicker note, the T1 Live! has a richer sound overall and a different tonality to vocals due to what sounds like a bump of the T1 Live!’s midrange, and then a contrasting upper midrange. The treble of the NT-6 pro has quite a bit more detail to go with its prominence, yet the quality is a bit superior to the T1 Live! due to a more natural decay. With a quite contrasted sound, the T1 Live! and NT-6 pro complement each other, and you will either like them for their strengths, or be driven crazy as these two can point out weaknesses in the other. The T1 Live! has an organic sound with great presentation depth and works as an audiophile CIEM as well as a stage CIEM. The NT-6 pro is more dynamic, exciting, engaging, but less accurate. I would recommend the T1 Live! for acoustic music and the NT-6 pro for electronic, and while both can do the other genre quite well, there are some weaknesses. Source Summary: The NT-6 pro changes quite a bit with different sources, so finding the right sound for you can take some trial and error. The quality of the DAC section does help with detail and resolution, but especially in achieving the presentation depth and width the NT-6 pro is capable of. For some reason the latest software for the 801 is a horrible match; however, all other DAPs/DACs I have tried don’t have the same issues. Using a good amp also helps where it comes to spatial presentation; however, the small changes to the upper midrange and treble did lead to significant tonal changes. Select your source carefully and be prepared for some trial and error. Boasting 6 balanced armatures in a 5-way design, the NT-6 pro is very capable of amazing sound across the spectrum. The sound is on the analytical side, but with some liquidity and musicality. Both ends of the frequency spectrum are enhanced at the extremes, but the midrange is not recessed, and the sound does not have the typical warmth that comes with enhanced bass. The sound is on the quicker and punchier side with excellent dynamic range, transparency, smoothness, and plenty of speed for any genre, but still enough note decay for a natural sound. Clarity and presentation focus are in a class of their own and help present every detail within the music clearly and concisely. While the NT-6 pro sounds good with lower end sources, carefully selecting a quality DAC and amp or DAP will result in an improved performance. From a technical standpoint, the NT-6 pro is one of the top three in performance of my custom IEM collection and I highly recommend it if you like a bright, engaging, fun, ultra-detailed and clear sound.